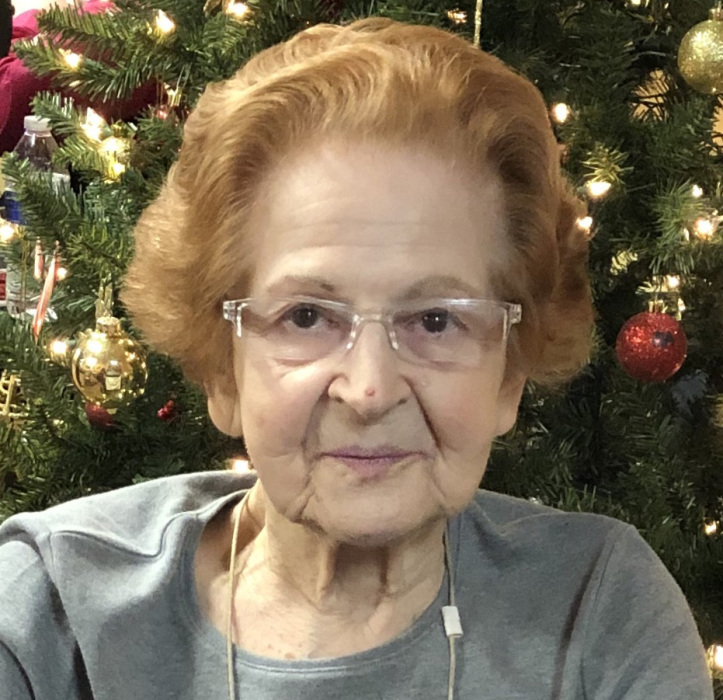 Obituary for Natalie (White) Butters | Knight-Confer Funeral Home, Inc.
Natalie Butters, aged 85, passed away on Monday, Feb. 4, 2019, at the Gatehouse at Divine Providence Hospital, the result of ongoing medical conditions. Born August 16, 1933, Natalie was the oldest of five children of Raymond L. and Rhea (Temple) White. She married Richard J. Butters, her high school sweetheart, in 1952, and together they built their dream home on Grimesville Road in 1962, where she lived with her son, Dickie, until moving into assisted living in 2018. Natalie was a loving mother to her children and happily accepted their friends visiting and living with the family. She was a strong-minded person as evidenced by the way in which she managed her illness until it reached the point that medical intervention was required. She was a longtime employee of Brodart. She was an excellent cook. She loved watching Penn State football and visited JoePa's grave with her brother, David. She also loved the actor, Colin Firth, and kept his autographed picture with her important documents. Natalie is survived by her daughter, Debra A Stanway (Glenn), of Melbourne, Australia; and son, David M. Butters (Carol), of Williamsport; her granddaughters, Ashley Butters and Caitlin Requena (Steve); and grandson, Nicholas Stanway (Michelle); and first great-grandchild, Sadie Requena. She is also survived by her brothers, David White (Judi) and Jay White (Louise); and her sister, Joanne McAnany; and a number of Butters and White relatives. She was aunt to many, including Kim Adams (Ken) who provided loving support to her, especially during her illness. She was preceded in death by her husband, Richard, and in October 2018 by her son, Richard (Dickie) P. Butters, and a daughter, Susanne L., as well as a brother, John White. The family would like to thank relatives, family friends and staff at Leighton Place, and all the medical and hospice staff for the love and care given to our mother. A combined memorial service for Natalie and Dickie will be in May. The day and time will be announced at a later date.